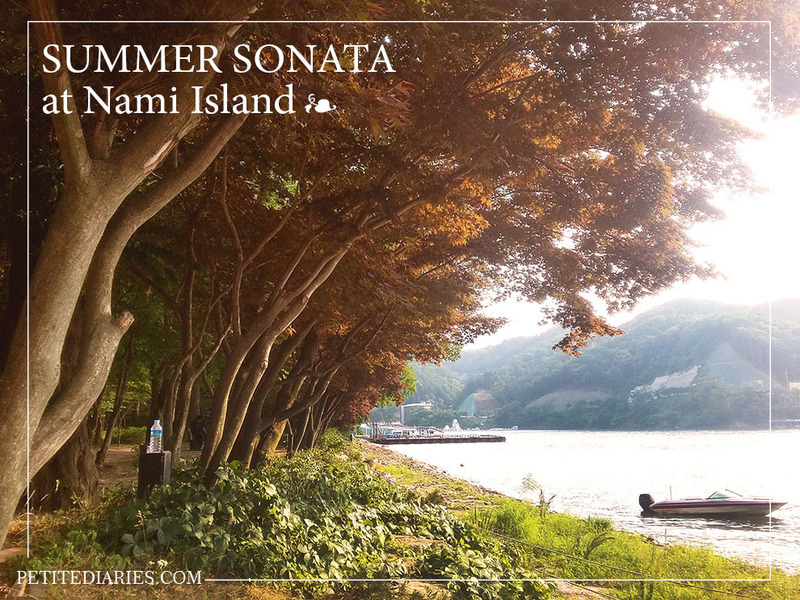 While everyone are posting all about their christmas - and winter trip,here I am post all about my trip last summer to Nami Island, Definitely not winter sonata , but summer sonata lol. Nami Island or known as Namiseom / 남이섬 is distanced around 54 km from central Seoul which took about 2 and half hour by bus.The island itself has unique shape of half moon and is owned privately not by government ,that's why it's also called as Naminara Republic .In order to get in, you need to get a certain 'visa'. They also has their own national flag, coins, stamp,passport, and telephone card. 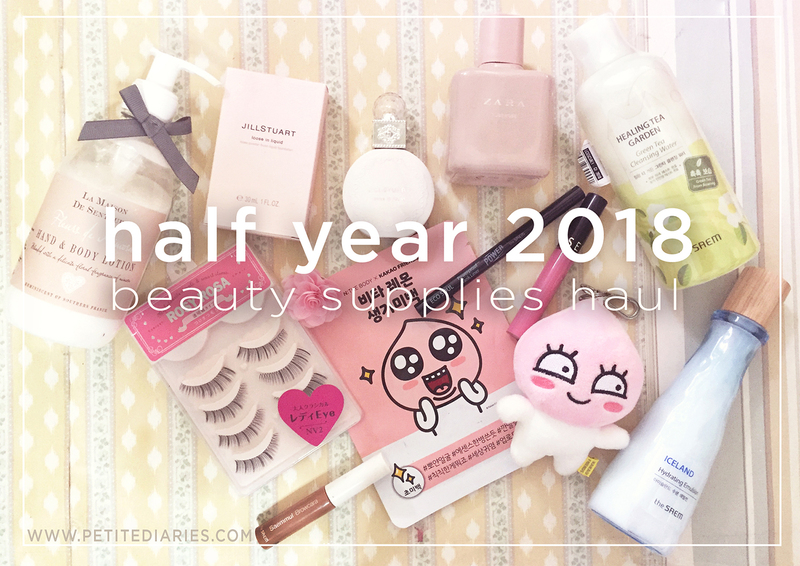 It's been a while since my last post of beauty haul.This haul is a mix between my summer 2018 Korea trip and recent beauty restock for the past six month.I kinda satisfied with myself because it means that one of my new year goals suceed (to limit myself with impulsive shopping on beauty stuff). I can spend the rest of shopping spree budget on things that I frequently used and need as fashion investment such as statement dresses, shoes,bags,etc. First thing first, Skincare ! The Faceshop 365 Herb Day is my most basic skincare routine item must have - it's incredibly cheap - only around KRW3500 . Been using for about 3 years ,and still loving it. The other Nature Republic item that i got is none other than the famous ALOE VERA Soothing Gel. Yep, the quality does worth the price like what they said on blog reviews / vlog but it does run out quickly too for such daily basis usage..im gonna repurchase only when I feel like to. 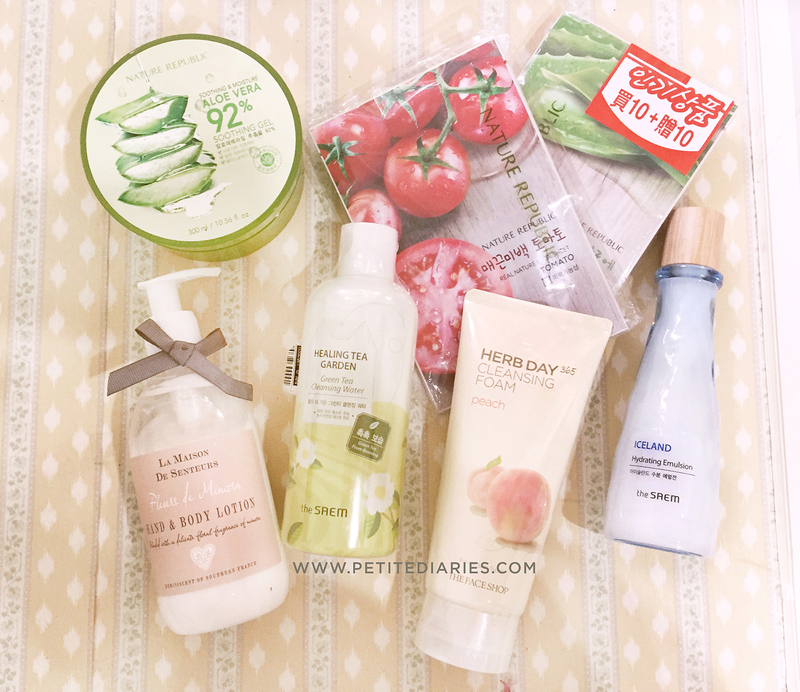 Next ,I got The Saem Healing Tea Garden Make Up Remover and The Saem Iceland Hydrating Emulsion, which is, my third bottle for 2 years in a row! I love it for real because my skin got healthier ever since I first used it and less cranky. For body care.. I always loyal with Marks&Spencer Body Lotion, especially their La Maison Fleur series..this time is Mimosa flower extract --a delicate scent yet not too overpowering . Kakao Friends character, i couldn't help it ! It's The Saem again ! 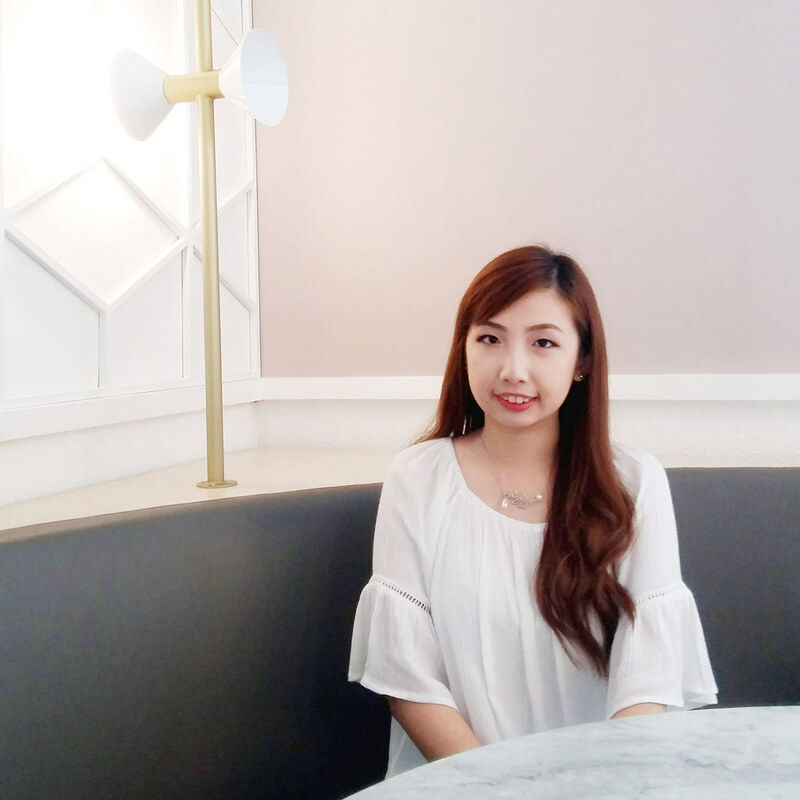 -- got myself The Saem Ecosoul Powerproof Tank Liner , (which is superb quick drying , waterproof liner ever and perfect to draw eyeliner neatly) and Saemmul Browcara. For lip item, I got myself my first Sephora matte lip stain Pink Haze - it has vibrant, pigmented barbie pink finish with just IDR185k. I'm impressed with how it's not turn sticky after applied, not like the other usual matte liquid lipstick. 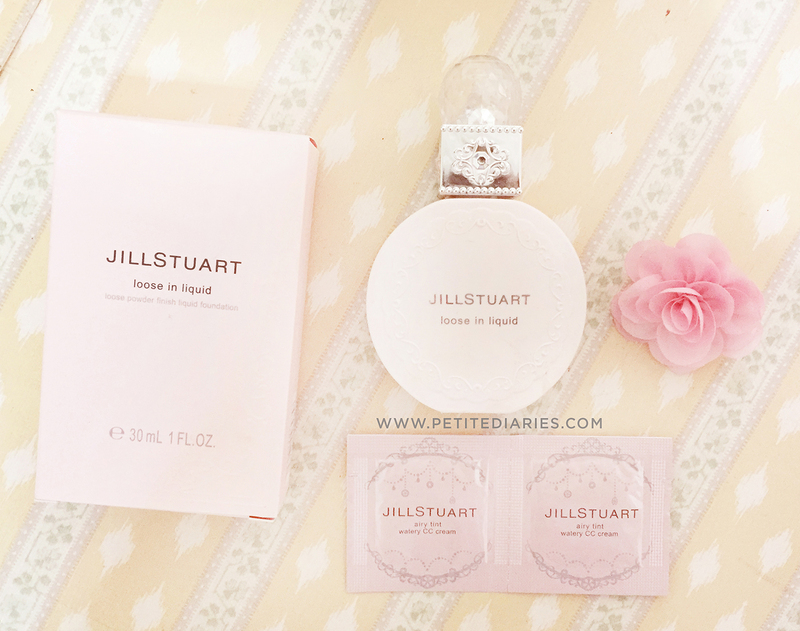 Jill Stuart Loose in Liquid - a soft powder in form of liquid. Costed me around KRW38000 .It has light coverage and sheer finish. 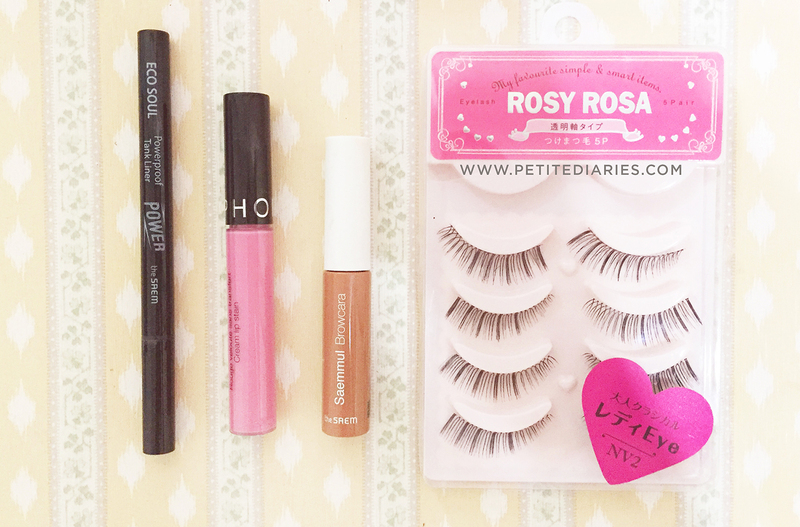 However , I prefer their their Airy tint Watery CC Cream (review here) for daily usage over this product. I only got use of this one when I'm too lazy to do my make up but still has to put at least- minimal make up on. The packaging is still impressive as ever so i guess despite the price,it's not a waste too. Got this 2 in 1 as package with the Wonderose series as birthday present.. 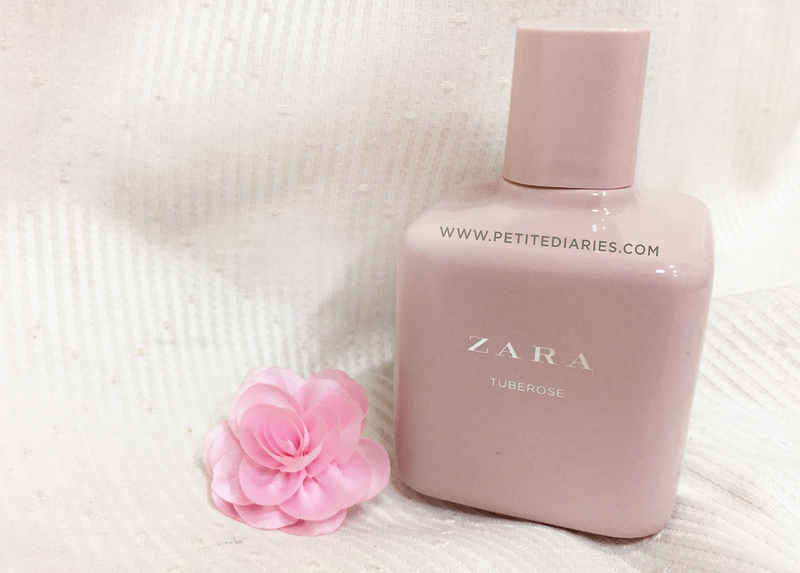 It has unique kind of floral scent (blackcurrant-tuberose-vanilla), not too sweet unlike the Wonderose one and suitable for day and night. Share with me by comment below! 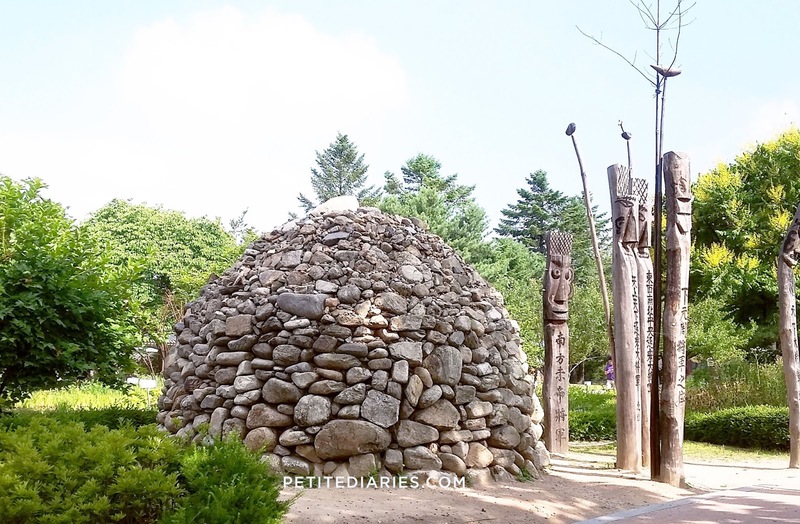 We stayed for 1 night at L'Art Hotel Gimpo ,kind of suburb area of Seoul yet still near within the reach of Gimpo Airport - where we need to go to the day after for Jeju.I was utterly surprised when I woke up that the weather is such warm and nice. Unlike the night before when I was first arrived at Incheon airport ; freezing cold around 15°C ! Our local guide, said that this is what Summer in Korea really like : warm at day, cold at noon. 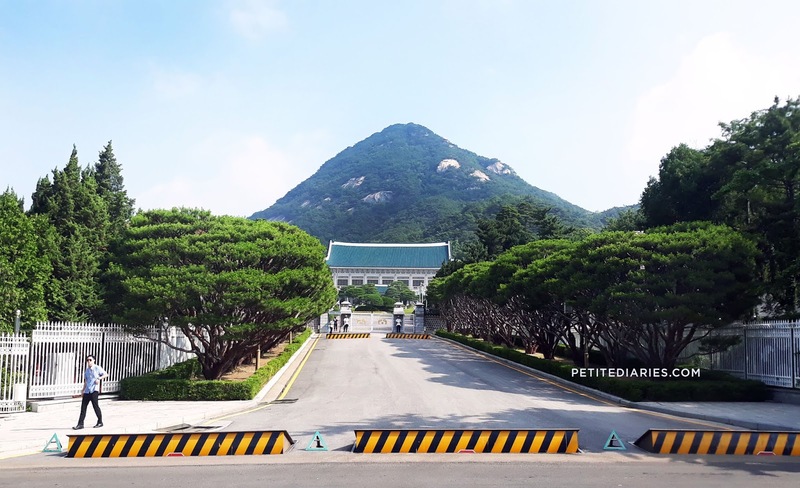 Here's a presidential house ,executive office and official residence of South Korea. 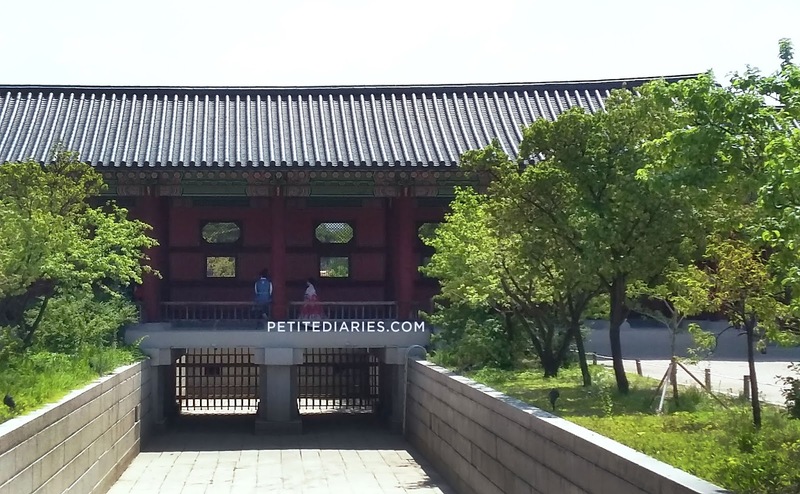 Our local guide said this is the place where the South Koreans political protests mostly happen, including resignation petition for ex President ,Park Geun Ye. On the entrance area, you'll see this wooden totem poles. I suddenly reminded all about Disney's Tiki totem lol but it's not. In fact, it's totally unrelated. 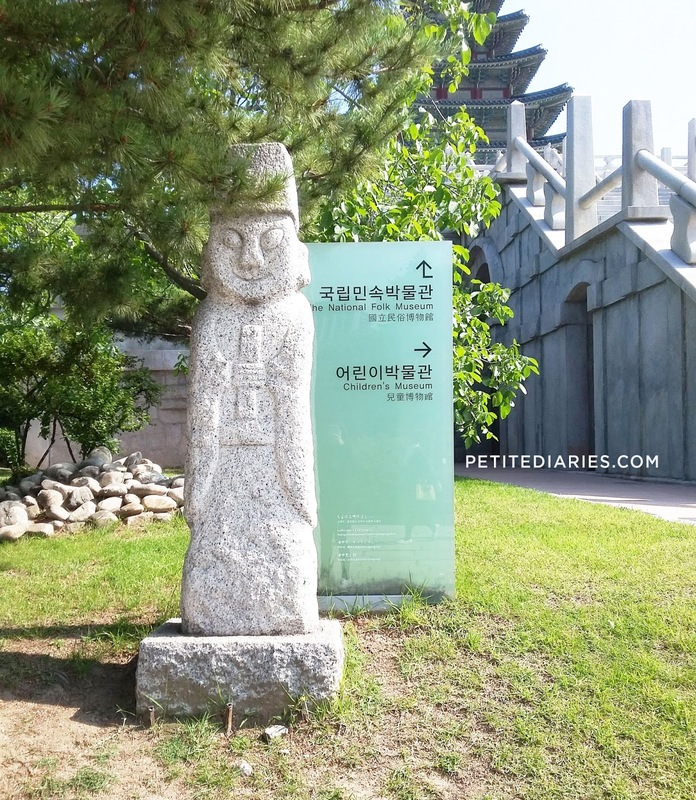 Jangseung Totem poles refer to 'village guardians' for Korean people. It usually placed in front of the entrance area as mark of traditional village boundaries of one another and as worshipped to drive out evil spirits. I'm sure you know all about this place. 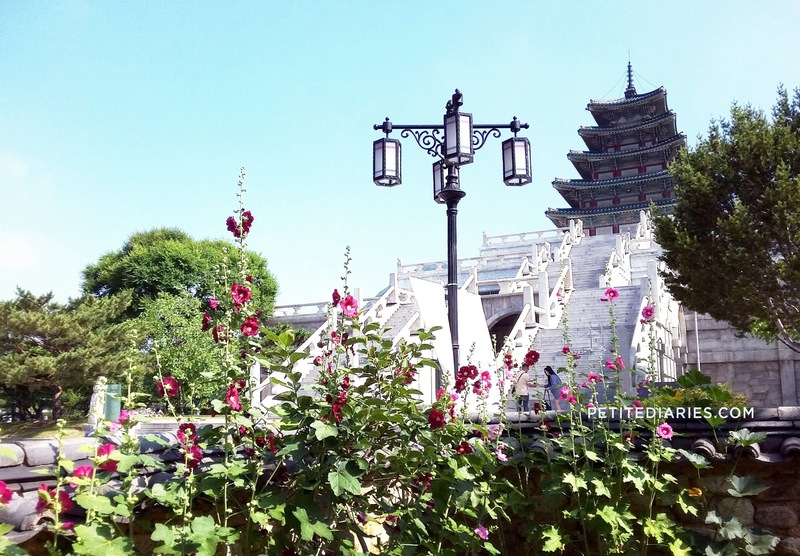 This place is mostly seen in Korean period drama and in every Korea tourism promotional board videos . 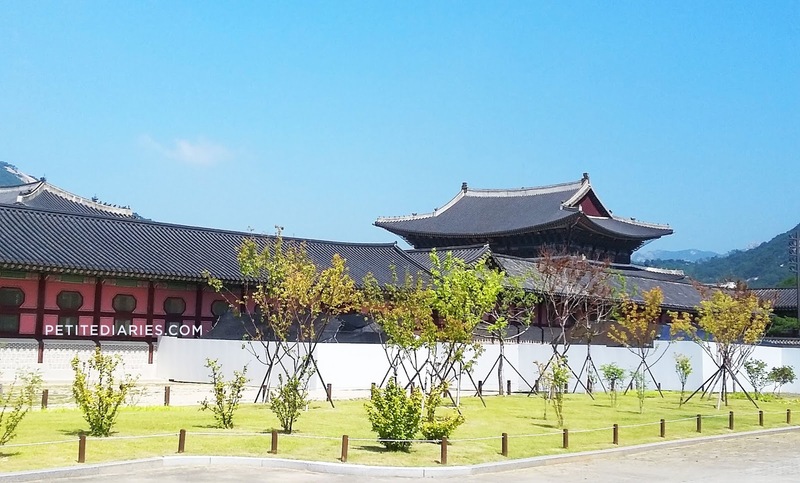 Gyeongbokgung is a main royal palace of Joseon Dinasty,it is also the biggest palace and most well-known touristy sites in South Korea. 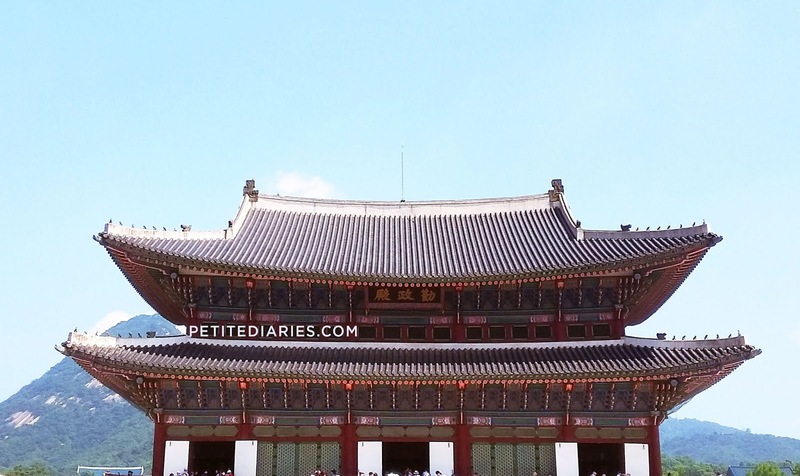 I still remember in 2011 when I watched 'Annyeong Korea with 2PM' ( you can watch it here ) ,an interactive movie about travel in Korea , there's a scene that my (then) idol bias, 2PM Wooyoung promoted this palace. Now even though I'm not that into Kpop anymore, I am still fond of this place and I'm happy to finally be there. 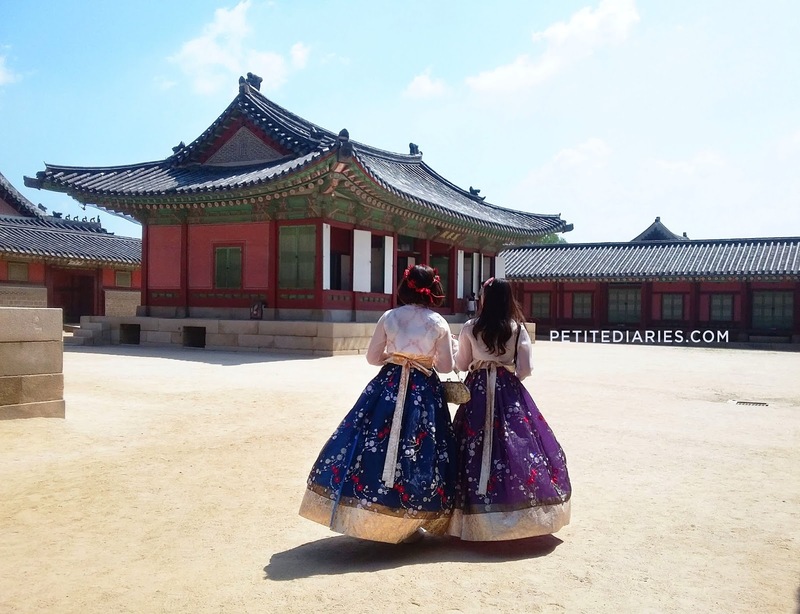 Here you can also transform into Korean girl in Hanbok for a day. With perfect spot, perfect ootd, perfect weather, I bet you'll shoot some nice instagram -able photos ! 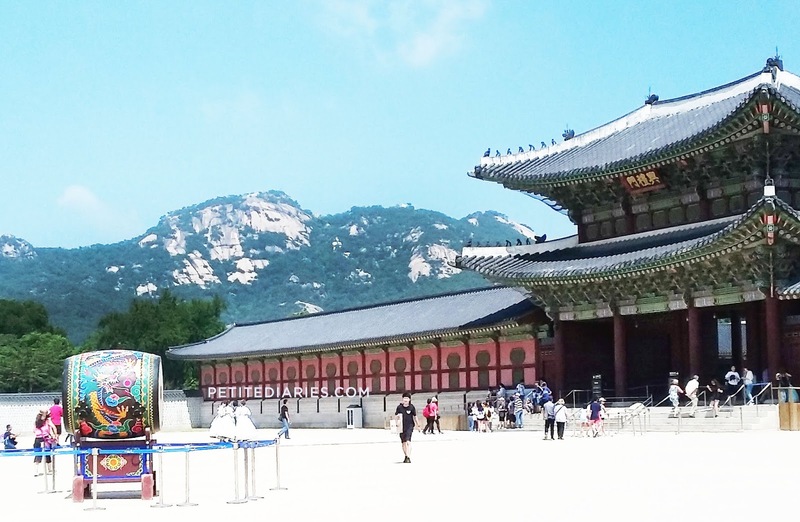 Gyeongbokgung is such a place you shouldn't miss to visit after all! Being here after a day, All i can say is there's difference of Korea from what I expected before. I used to 'know' it from, internet,K- dramas, and books before. 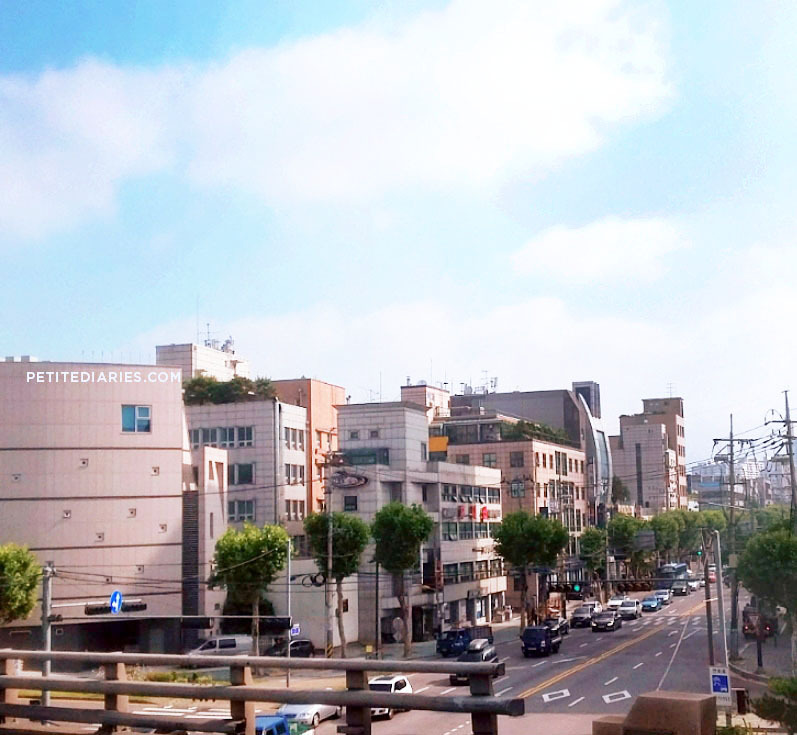 Now after being there for real, I can see the true beauty and sides of Korea which is not shown in front of screen. This is, the true Korea and captures my heart. 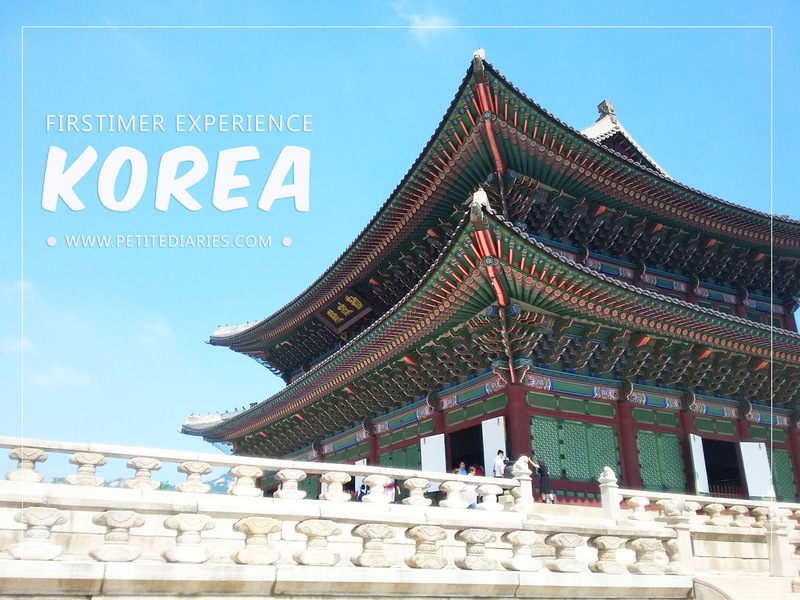 That's all about my Korea travel post day 1.. I'll post the day 2, 3,4,5 soon on this blog. 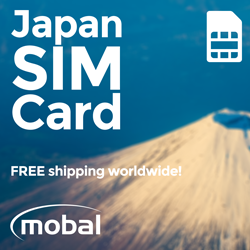 EASY WAY TRAVEL AROUND WITH SUPER CHEAP TOKYO BOOK !